Alaska isn’t the only salmon producing region churning out high volumes of salmon this season. In the Russian Far East (RFE) basin, more than 169,000 tons of Pacific salmon have already been harvested, 24% more, or 33,000 tons more than at the same time in 2013*. The entire permitted harvest for the RFE region is 231,200 tons, which means Russian fishermen are well on the way to meeting expectations and achieving catch quotas. The high catches currently taking place are a good reminder that almost half the world's wild salmon comes from Russia. 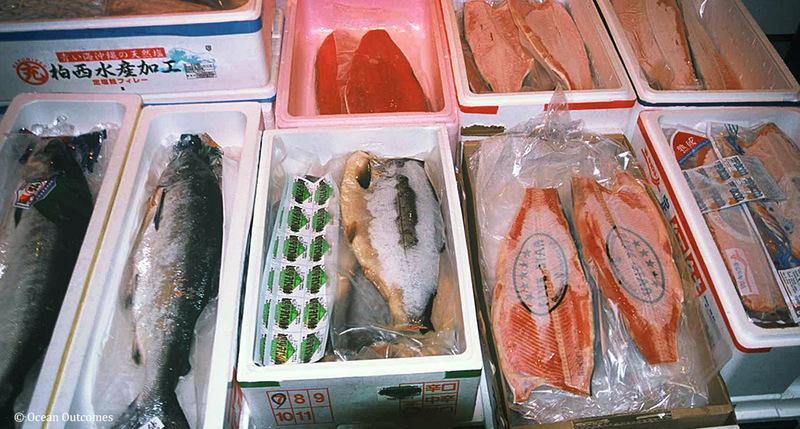 Commercial salmon fishing in the RFE takes place on Sakhalin Island, the Kamchatka Peninsula, and the mainland. While catches are up significantly in Kamchatka, current catches on Sakhalin are down almost half from 2013. As of today, Kamchatka has harvested more than 139,000 tons of salmon, 83,300 tons of which has come from Karaginsky Bay, a fishery we’re working closely with to implement improvement activities. While the Chinook and sockeye fishing appears to be trending towards the end of the season, chum fisheries in Kamchatka remain in full swing. Sakhalin fishermen, who have only harvested 14,500 tons of salmon so far this season, are still hopeful for a big pink return. Scientists in the region postulate abnormal hydrological conditions are causing a delay in salmon returns, but they still anticipate a harvest of 70,000 - 80,000 tons, the majority of which should be caught in the coming weeks. More information on this story can be found on Russia’s Federal Fisheries Agency (Rosrybolovstvo) website. For comparison purposes 2013 catch data are used instead of 2014 data, as pink salmon, a significant volume of RFE salmon production, are only caught in substantial numbers every other year.